Climate change is making the weather pattern that's responsible for California's drought more likely, according to a new study from Stanford. The phenomenon, known as the "ridiculously resilient ridge," is a huge, hard bubble of high pressure air parked in the Pacific Ocean. In the rainy season, it pushes storms that could've been headed to California up north, to Canada. High pressure ridges that cause California to dry out happen naturally -- there have been plenty of long droughts in the past -- but climate change is likely to make them more frequent, according to the study published Monday in the Bulletin of the American Meteorological Society. Swain’s study was published as part of a collection of papers that focused on the links between climate change and extreme weather events. 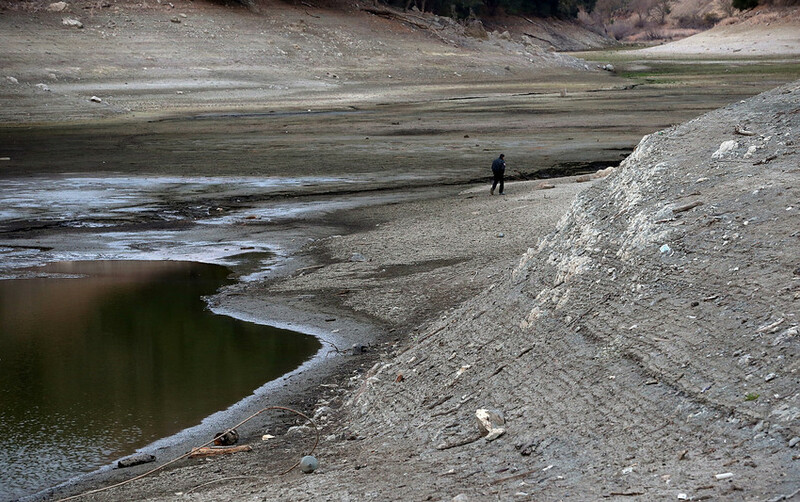 "Nobody's saying this event (California's drought) was caused by climate change, period," said Daniel Swain, a grad student at Stanford and lead author of the paper. (He also coined the term "ridiculously resilient ridge.") "The question that is being asked -- and really can be asked -- is, ‘Has the risk of an event like this changed due to climate change?’"
The answer, he says, is yes. It's three times more likely, according to computer models, than if humans weren't releasing greenhouse gases into the atmosphere. Swain said there are a number of things that can cause high pressure regions; often they're tied to the oceans, but he wasn't looking at the ultimate cause, just at the likelihood. Swain's study was published as part of a collection focused on the links between climate change and extreme weather events. Two of the other studies also examined the California drought. One found that fewer Pacific storms are likely to reach California, but that increased humidity means that the ones that do reach California will be wetter. The other examined if increases in sea surface temperatures caused by global warming are responsible for the California drought. It did not find a link between the two. With regard to climate model research, Patzert said he's worried that it misses what he says are more immediate concerns: development and population.